Hands up if you have ever cooked a delicious risotto only to realise you had used twice as much rice as you needed to, and you now have enough to feed a small army? It happens to the best of us. Before the grains of rice have plumped and swollen it’s easy to convince yourself just to add another half a cup or so more and before you know it your pan is overflowing with the stuff. But fear not! Never again will you have to throw away tasty, leftover risotto! This recipe is incredibly simple to follow, and deliberately so. It is thought that arancini originates from Sicily, though there are similar recipes elsewhere in Italy. They are often stuffed with a meat sauce or even cheese, but so that you don’t have to buy in any extra ingredients to make these, I’ve decided to give you a basic recipe and method so that you can use any leftover risotto you might have. 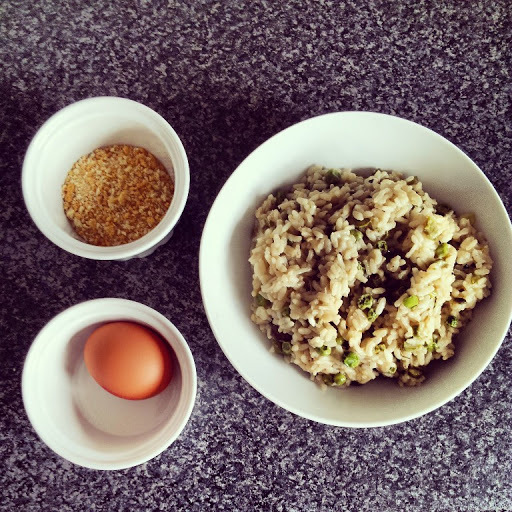 Leftover risotto, egg and breadcrumbs! Split your risotto into roughly 8 parts. Roll each portion into a round ball. 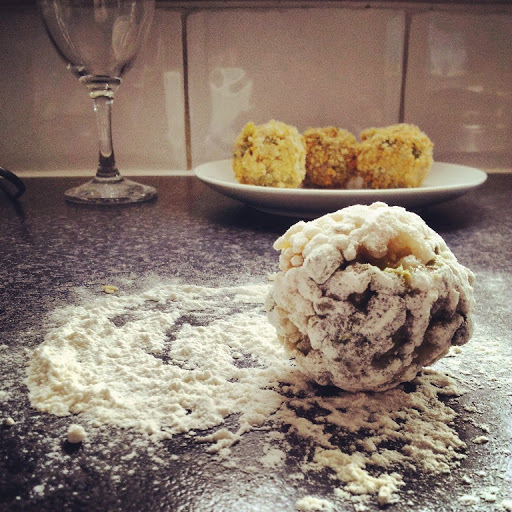 Dust the flour onto a work surface and roll each ball in the flour. Beat the egg in a bowl and dip each ball into the egg before coating with the breadcrumbs and place to one side until they are all covered. Next, heat roughly ½ a centimetre of oil in a frying pan. When the oil is piping hot, place the balls in the oil and allow to cook for 2mins before rolling around and cooking on another side. 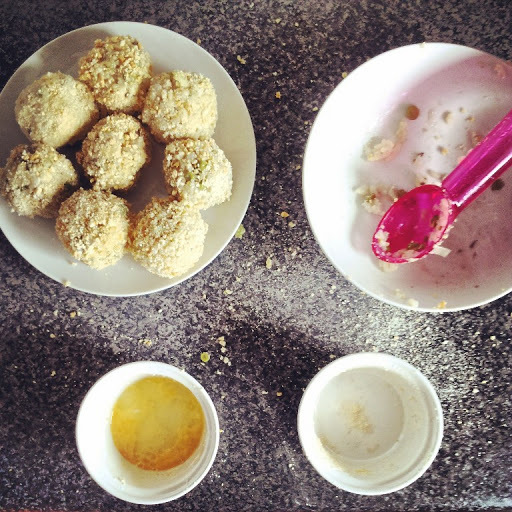 Cook the balls for 10mins, or until they are completely golden and piping hot! Serve up straight away with salad. I would recommend making these with a vegetarian risotto if you’re making them the next day, that way you don’t have to worry about whether or not you’ve re-heated the meat thoroughly enough. You don’t have to make these with leftover risotto though! If you do want to use a meat based risotto, why not cook it, let it cool enough so you can handle it, coat them, and fry them there and then?! The best thing about these is that the possibilities really are endless. Just chose your favourite risotto. Enjoy it for dinner, and then enjoy it again the next day! Let me know which risotto you would like to make arancini with by leaving a link in the comments.